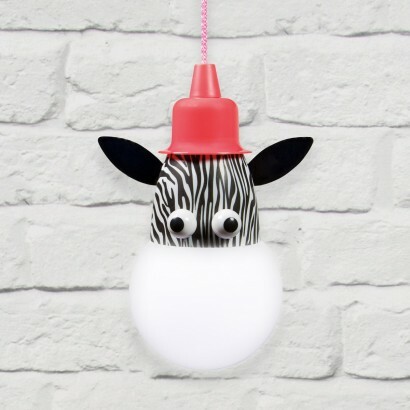 A playful bulb light on a braided cord, this zebra pull light is battery operated and so there's no need for mains connection allowing you to place it anywhere in your home or garden. 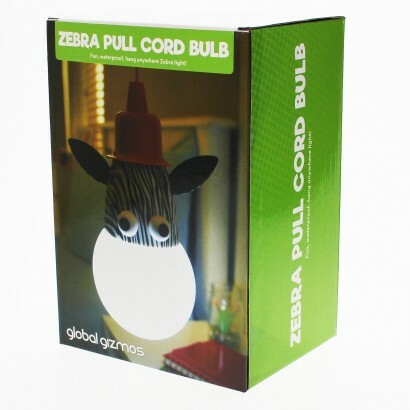 Ideal for adding fun lighting to kids rooms indoors, or for illuminating outdoor dens, playhouses and camps, this large IP44 rated LED bulb is dressed up as a sweet zebra giving a friendly face to your lighting. With a sturdy cord for hanging, simply pull the top of the lamp down to switch on and off again for charming kids lighting.